Winter can be a wonderful time of the year to plan your wedding. Not only does the sparkling snow and delicate icicles lend themselves to a beautiful, magical backdrop but vendors and sites are more readily available during this “off-peak” season. With a winter wedding though comes other factors to consider such as cooler temperatures and demanding holiday calendars. Careful and thoughtful planning is needed to ensure your day is all you dreamed of. Here are some tips for planning the winter wonderland of your dreams: Be a good host by keeping the comfort of your guests in mind when planning your big day. An indoor venue is best for ensuring a temperature-controlled environment free of the risk of windy, blistery weather. Also consider moving other parts of the wedding indoors as well such as the receiving line and photos. Dress for the occasion… and the weather. Although the winter lends itself to longer sleeves and more plush materials, brides should feel free to choose whichever dress they love best for themselves as well as their bridesmaids. But you also don’t want to be shivering through the entire event. Choose beautiful, yet functional accessories to keep warm. This may include an elegant pashmina or a gorgeous bolero style jacket for both you and your wedding party. You also want to thoughtfully consider your shoe selection. While high heels may be glamorous, they can be dangerous in icy conditions. Opt for flats or a pretty boot when travelling between different venues throughout the day. Send save the dates earlier than usual. With winter comes many holiday commitments even into the first couple weeks of January. Make sure to send save the dates earlier than usual so guests can plan accordingly. This can also be helpful for those that may be flying and want to avoid the expensive holiday travel costs. One of the best parts about planning a winter wedding is enjoying a relaxing honeymoon to a tropical location. Scheduling the vacation between January and early March can help you avoid the two most expensive travel seasons – Christmas and Spring Break. If you are planning a winter wedding affair, let the team at Windermere help. 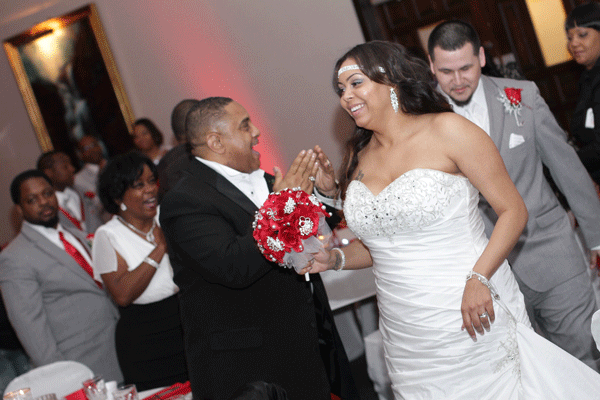 We assist couples in designing every aspect of their big day from the invitations to the venue and more. We also specialize in arranging their ideal honeymoons including many popular Caribbean destinations. Contact us for more information or to schedule a consultation.